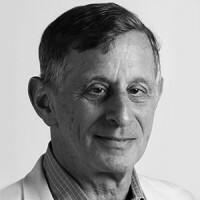 Roy Gutman has been a foreign affairs journalist in Washington and abroad for more than four decades. His reports for Newsday on “ethnic cleansing” in Bosnia-Herzegovina, including the first documented accounts of Serb-run concentration camps, won the Pulitzer Prize, the George Polk Award for foreign reporting, the Selden Ring Award for investigative reporting and other honors. He also was part of the McClatchy team that won the George Polk award for foreign reporting in 2013. His books include Banana Diplomacy, A Witness to Genocide, and How We Missed the Story: Osama Bin Laden, the Taliban, and the Hijacking of Afghanistan.